ForWarn’s viewer was designed to let users recognize and interpret change, and interpretation is supported by ancillary map layers from a variety of sources. Until recently, change caused by fuels treatments such as thinning and prescribed fire, have been hard to interpret for want of maps. 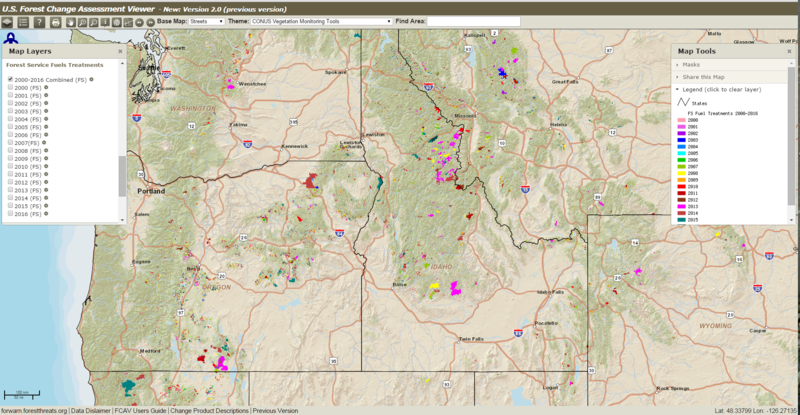 With the addition of this management layer, the canopy impacts of such activities on Forest Service lands can now be tracked from 2000 to the present.